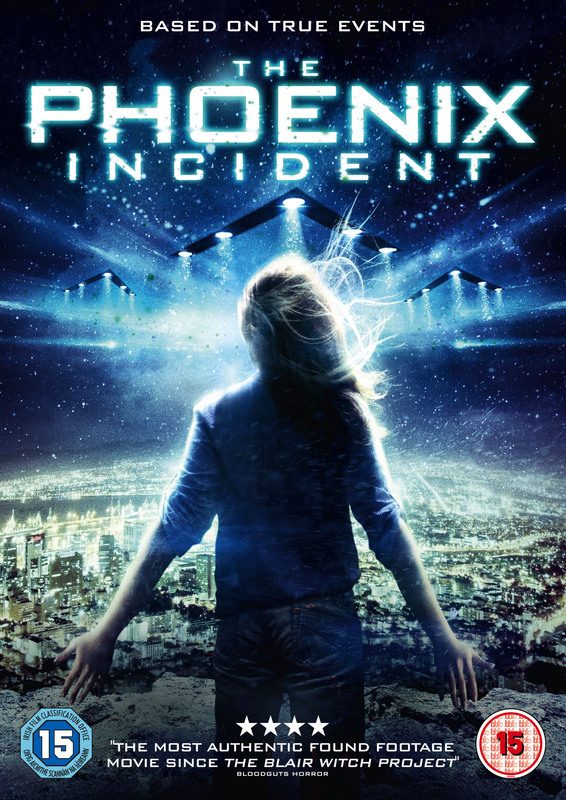 To celebrate the release of The Phoenix Incident on DVD, we have an exciting Sci-Fi Blu-ray and DVD bundle up for grabs courtesy of Signature Entertainment. The bundle contains The Phoenix Incident (DVD), Extraterrestrial (DVD), Predestination (Blu-ray) and Badland: Road to Fury (Blu-ray). To be in with a chance of winning just enter via our competition app below. On March 13th, 1997 a number of ‘missing person’ cases were reported in Phoenix, Arizona after thousands of people witnessed an unexplained series of lights in the night sky. Based on actual events, this UFO conspiracy thriller is written and directed by gaming veteran Keith Arem (Call of Duty: Black Ops, Titanfall) and chronicles the US military’s alleged engagement with extraterrestrial forces on the famous night of the Phoenix Lights. Using whistleblower testimony, recovered military footage, and eyewitness accounts, this shocking film explores the events surrounding what has rapidly become known as one of the largest military coverups in US history. Signature Entertainment Presents The Phoenix Incident on Digital Download August 31st and on DVD 7th September, 2015. The competition ends at 23:59 on 28 September 2015. The prize consists of a DVD & Blu-ray bundle of The Phoenix Incident (DVD), Extraterrestrial (DVD), Predestination (Blu-ray) and Badland: Road to Fury (Blu-ray).